GRS are proud to have recently contributed to Stuart Dixons ongoing charity fundraising campaign. 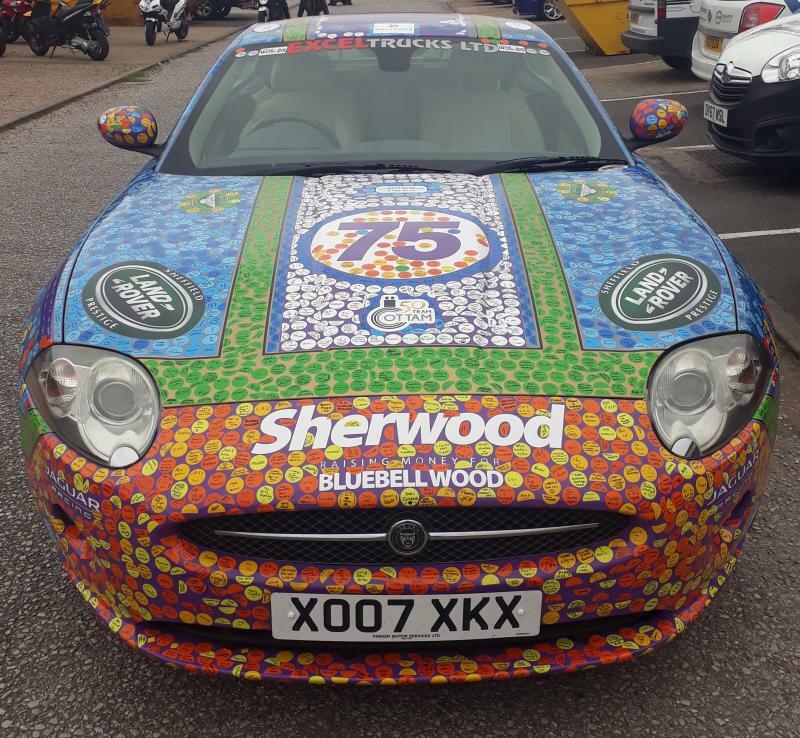 Former Trent Hire boss Stuart Dixon from Retford has wrapped his Jaguar XK 4.2 V8 with the purple livery of Bluebell Wood Children's Hospice. This formed the perfect blank canvas for an array of colourful stickers and business decals purchased by sponsors that display names or brief messages relating to this worthwhile cause.